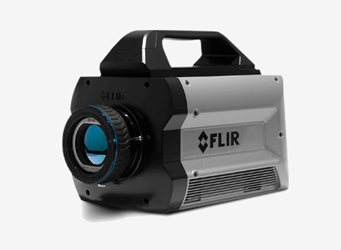 The FLIR X6800sc delivers on-camera recording capabilities, and digital streaming capabilities of up to 14-bit data simultaneously. The camera includes four-position motorized filter wheel that permits filter exchange in any environment, and automatic filter recognition. The X6800 features maximum versatility for synchronizing and triggering to external events or instrumentation, and works seamlessly with FLIR ResearchIR Max or third-party software. Click here for more information on the FLIR X6800sc, or download FLIR Research and Science brochure. Check out the video below for a brief introduction on the product.